The 14th Annual Fort Eustis 10K held at Fort Eustis, VA was held on Saturday morning, March 3, 2012 sponsored by the Fort Eustis MWR. The race was conducted and results were generated by the Peninsula Track Club. Conditions at race time were good for running, overcast with a breeze and temperatures around 60.The course for the Fort Eustis 10K is USATF certified (VA02048RT) and was run as certified. The race started and finished at Anderson Fieldhouse on Fort Eustis. This is the 3rd race of the 2011 Peninsula Track Club Grand Prix series. 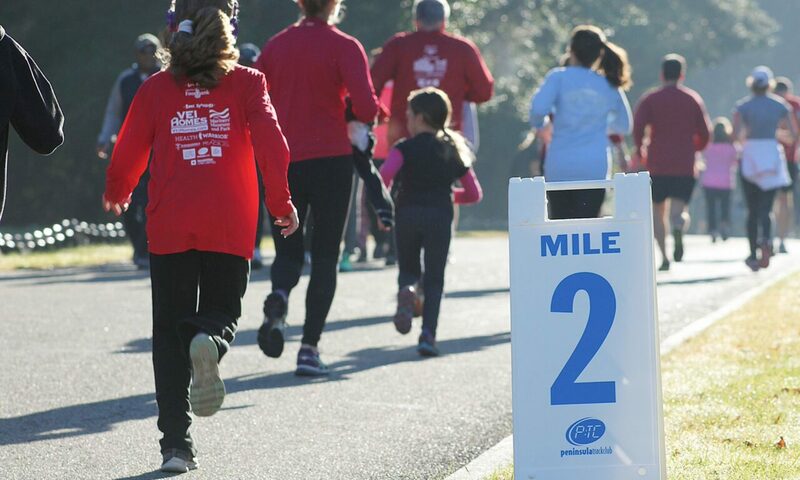 NC came to the Fort Eustis 10K for a race since the races in the Raleigh area had been cancelled due to severe weather passing through the area Saturday morning. Masters runners dominated the Overall categories with performances including Pete Gibson, 55 of Murfreesboro, NC who was 1st Male Overall in the 10K with a time of 36:38. First Woman Overall was Connie Glueck, 47 of Williamsburg in a time of 43:08. Most notable was Tami Graf, 75 of Lusby, MD who set a Virginia State Record in the 10K for Women 75-79 with a time of 1:06:24. The previous VA state record for women in this age group was held by Marjorie Mitchell with a time of 1:08:44 set in 1992.